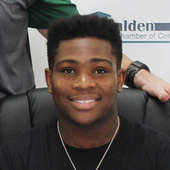 Triplett was the total package — and a total wrecking ball — for the Green Wave, as he posted a .506 batting average with 30 RBIs, 42 runs scored and a 1.497 on-base + slugging percentage; he knocked 13 doubles and six home runs. 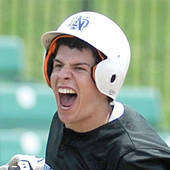 He was also a key pitcher for the Class 3 state champions, going 7-2 with a 1.99 ERA. 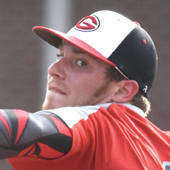 McDaniel showed off his all-around skillset in his final high school season, as the Southern Illinois signee went 10-1 on the hill with a 0.46 ERA and 202 strikeouts in just 85 ⅓ innings, with just 10 walks. With the bat, the Bear shortstop hit .577 with 42 RBIs, 15 doubles, four triples and five home runs for a .715 slugging percentage. The SEMO Conference Player of the Year and Mizzou signee — though he may be drafted before he gets to campus — had an OPS (on-base + slugging) of 1.422 while hitting .413, driving in 25 runs and scoring 36. He had nine doubles, eight triples, six home runs and 24 stolen bases. 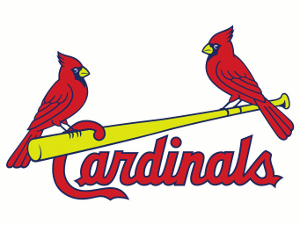 As a pitcher he was 4-2 with a 2.48 ERA, 48 strikeouts and 27 walks. 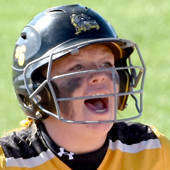 Urhahn tied the school record in runs scored with 42 and was the leadoff hitter and left fielder on a Bulldogs team that won the Class 4 state championship. He batted .421 and set a school record in steals with 39. Haggerty was superior as a senior for a Notre Dame team that advanced to the Class 4 state quarterfinals two years in a row. 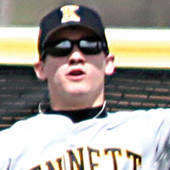 He batted .531 and had a school-record 52 hits, seven triples and 42 runs scored as a senior. He also had 27 RBIs and 18 stolen bases. 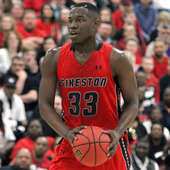 His final season as a Bulldog was as good as any he’s had, averaging 21.1 points, 9.8 rebounds, 4.7 assists and 2.4 steals per night but, most importantly, also leading Sikeston to the Class 4 final four. 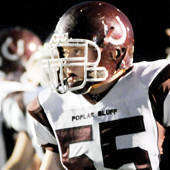 Thatch was the Class 4 Player of the Year and Conference Player of the year while rewriting the Bulldogs’ record book, even while battling a foot injury during the season. The 5-foot-9 guard cast a big shadow for an Eagles team that reached the Class 3 final four, averaging 24 ppg and 3.0 rpg. 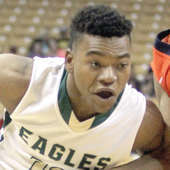 He shot 58 percent from the field, and his accolades range from all-SEMO Conference to all-state to Class 3 Player of the Year. Bogan led the Bluejays to the Class 3 quarterfinals while collecting 24.7 points, 6.4 rebounds, 3.3 steals and 2.8 assists per game as a junior. He shot 46 percent from behind the arc and made 76 percent of his free throws. Cauble made a statement as a freshman, but she was even better as a sophomore. 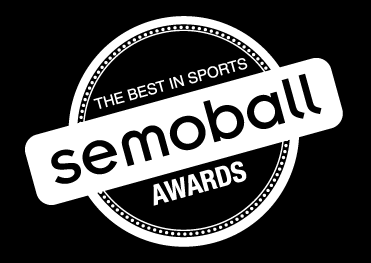 Making her second straight Semoball Awards finalist appearance, Cauble led all players in Southeast Missouri with 33 ppg. The guard also averaged 5 rpg, 4 apg and 3.5 spg as she spurred the Eagles both offensively and defensively to the program’s greatest season ever, with a Class 2 final four appearance. 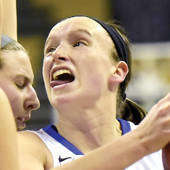 She shot 55 percent overall, 40 percent from 3-point range and 82 percent from the free-throw line. 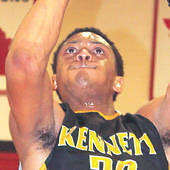 Cauble earned a Class 2 All-State nod and was the Class 2 District 2 Player of the Year. 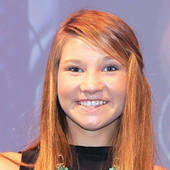 The reigning Semoball Girls Basketball Player of the Year and Female Athlete of the Year had a banner final season for the Crusaders — Class 3 state runners-up — putting up 16.3 points per game, 2.2 assists and 1.5 steals while shooting 49 percent from the field and 43 percent from long range. 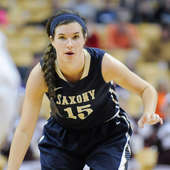 Her 81 percent from the free-throw line is the best among Semoball Award finalists. The Indians junior put together a standout effort on the comeback trail from a devastating knee injury. 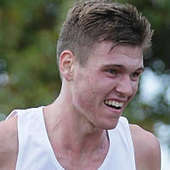 Buffington was a conference champion, running a time of 16:09, as well as the winner of the Cape Central Invitational; he finished second at the district meet. 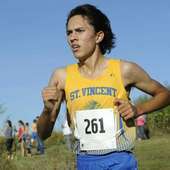 He qualified for Class 4 state, where he finished 47th with a time of 16:29.85. Krauss was the top runner on an Indians team that finished second in Class 1. He finished third at the state meet with a time of 17:03.11 and was crowned district champion with a time of 17:01. He also placed 14th at the conference meet in 17:18.44. The Semoball Awards finalist carried a much bigger load than she did a year ago, the junior handled greater responsibility by winning a conference gold and finishing second at the district meet. 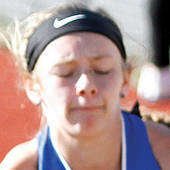 She then wrapped up her season with an 18th-place result at Class 4 state. Bauer’s season-best time was the best of all the finalists at 19:29.03. In her final year at Notre Dame, Hanners claimed her stake by finishing near the top of the field in every competition. She was a conference champion with an 18-minute, 30-second performance, and also won the Cape Central Invitational. Her district run of 20:51 was good for eighth place, and Hanners then ran her way to third at the Class 3 state competition, posting a time of 19:17. Knott became the Indians’ No. 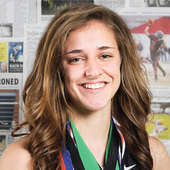 1 runner when Drum was hindered by illness, and she responded by placing eighth at the Class 4 state meet with a time of 19:02.89 and guiding the team to a fourth-place finish in the team standings. 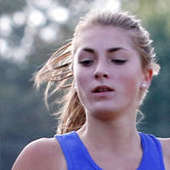 The Southeast Missouri State signee also won the district title with a time of 19:16.81. 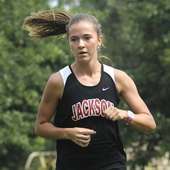 Drum, the defending Semoball Awards Girls Cross Country runner of the year, finished first at the Class 4 District 1 meet to lead a Jackson to the title. 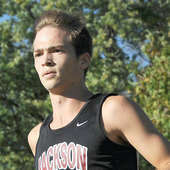 The junior, who also was the SEMO Conference champion, finished ninth in 18:39 at the state meet to earn all-state honors. Tucker has been the heart and soul of the Blue Jays defense. The linebacker capped off his career with 143 tackles and 28 tackles for a loss and was the Derland Moore winner as the top defensive player in the SEMO Conference, along with all-state honors. Tucker signed to continue his career at Southeast Missouri State. Just a sophomore, Winters made a big splash on the defensive side of things in 2016. 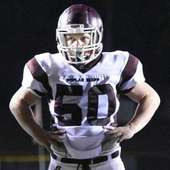 He led the area with 145 tackles, and those came from his position at defensive end, where he also had seven sacks and five fumble recoveries. 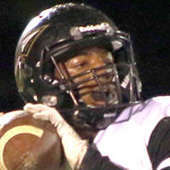 His performance earned him a first-team All-State nod and the title of SEMO Conference West Defensive Player of the Year. Haley was the top priority for opposing offenses each time he stepped on the field. He won the Moore Trophy, the award given to the top defender in the conference, and broke the school record for tackles in a season with 153 stops — 23 for loss. 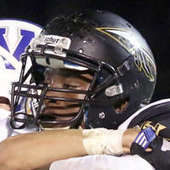 He finished the season as a Second Team All-State selection. 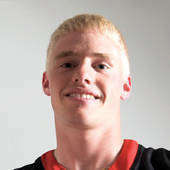 Hobeck, the SEMO Conference defensive player of the year, recorded 65 tackles and assisted on 12. He had 20 tackles for loss, 11 sacks, forced three fumbles and recovered three fumbles and broke up two passes as a senior. The senior defensive lineman made 91 tackles for the Mules, including 19 for a loss of yards. He also had seven sacks and was named the SEMO Conference’s most outstanding defensive player after the season. The Indians gunslinger used his intelligence and athleticism to steer Jackson’s high-scoring attack. Callis completed 280 of 425 passes for 3,807 yards and 56 touchdowns, while tossing just 12 interceptions. 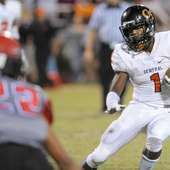 He earned the Carr Trophy as the SEMO Conference’s top offensive player, and has more than a dozen college options. A third-team All-State selection, Mills led the Indians to a 10-2 season that was only ended when Hayti ran into powerhouse Valle Catholic in a district final. The senior signal caller amassed more all-purpose yards than any player in Southeast Missouri, rushing for 1,044 yards and 18 touchdowns on 115 carries and throwing for 2,347 yards and 32 TDs while finishing 170-of-290 passing. 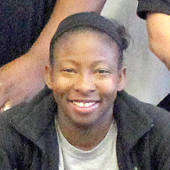 The most decorated athlete in school history, Young was the Carr Trophy winner and was the SEMO Conference’s scoring champion for the second consecutive season. He finished with 1,764 yards from scrimmage and 27 touchdowns on 154 touches and was named First Team All-State by both media and coaches. Monroe, the Carr Trophy winner, remarkably ran for 1,430 yards on just 130 carries for the Tigers. He compiled 20 touchdowns on the ground and another five through the air while catching 12 passes for 433 yards. If there was any question about what Bell would do for an encore as a senior, she answered it. 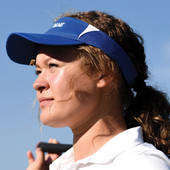 The reigning Semoball Awards Golfer of the Year and three-time finalist won a second consecutive Class 1 girls state championship in the fall, shooting 2-under and winning by five strokes to help the Bulldogs to a team state title. She was second at the sectional tournament and won the district tournament. She found that form despite missing a chunk of the season with a back injury. Bell will continue her golf career at Oral Roberts. Whitson has made a major impact on the Hornet golf program. 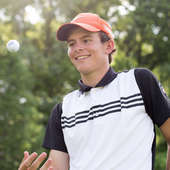 In 2016, the all-state golfer shot a 75 to finish second in a rain-shortened Class 1 state tournament and was the medalist in the Class 1 sectional tournament, leading Advance to a team title. He had five total medalist finishes, and will continue his career at John A. Logan College. Wheeler placed fourth at the Class 3 tournament and second at the SEMO Conference large schools tournament. 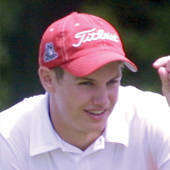 He finished second at the sectional tournament and tied for eighth in the Class 3 District 1 tournament. Simmons outdueled Notre Dame’s Jack Litzelfelner to earn the SEMO Conference title and shared the Class 4 District 1 individual title. He capped his season with a sixth-place finish at the Class 4 state tournament. 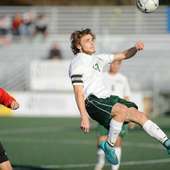 After many key Jackson players graduated, Morris stepped up by taking on more responsibility as a senior midfielder and helping spark his team to a fourth straight SEMO Conference title and a second straight district championship. Morris had 30 goals and 10 assists while garnering honorable mention Class 4 all-state honors along with all-district and all-region nods. Arguably the best player on the area’s best team, Scholl capped an impressive four-year high school career with 31 goals and 24 assists, both more than any other player in the area. The performance earned the four-year starter and return Semoball Awards finalist the honor of All-Region Offensive Player of the Year out of a region that includes the much-ballyhooed St. Louis programs. An NSCAA All-Midwest selection, Scholl has signed to continue playing soccer at Division II Lindenwood University. A midfielder with a high work rate, Wood not only orchestrated things in the middle of the park for the Class 2 runner-up, but also scored 15 times while assisting on 13 tallies. He was the Conference and Region Player of the Year as well as a First Team All-Conference, All-District, All-Region and All-State selection. Schlichting scored 17 goals and posted 28 assists, which is tied for most assists in the state, during the Pirates’ state championship season. 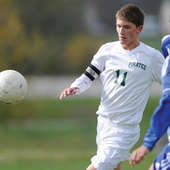 The senior midfielder and captain also was a first-team all-state selection in Class 2. A dynamic attacking force, Welker’s play led the Indians to a historic season and a first-ever trip to state. She used her pace, first touch and high soccer IQ to finish with 21 goals and 19 assists, earning a Class 4 First Team All-State nod as well as all-district -conference and -region honors. After four years as a varsity starter for Jackson, Welker will continue her career at Southeast Missouri State. It is her second Semoball Awards nomination. 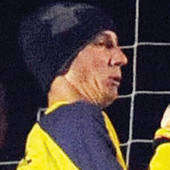 A return Semoball Awards finalist, the dangerous striker lived up to the expectations set as a freshman. Heisserer finished the season with 32 goals and 15 assists and was named the Class 2 Region 1 Player of the Year for a second straight season. She capped it all off by scoring the biggest goal of her young career — a golden-goal winner in extra time of the Class 2 state championship — to help her team lift the first state championship trophy program history as the Bulldogs went 23-1. After missing her junior year due to injury, Brune was the heart of another title-winning Saxony side. 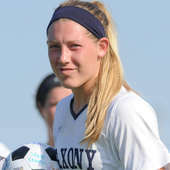 A versatile player often put wherever her team needed her most, she scored 18 goals and posted 17 assists, scoring three goals in the final four. Brune will play Division 1 soccer at Troy (Ala.) next year. 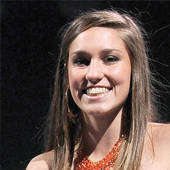 Nelson is the reigning Semoball Awards Girls Soccer Player of the Year. 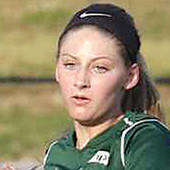 After transferring from Notre Dame, the Southeast Missouri State signee led the Indians with a team-high 21 goals. She also had 17 assists. 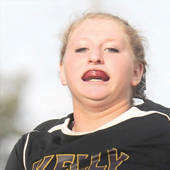 Eddington lifted the Donnettes to a breakthrough season, as they went 18-5 and reached a Class 2 sectional in the fall. She led the way with a .641 batting average and a Southeast Missouri-best 62 RBIs and 76 runs scored; she reached base at a .730 clip. Eddington hit for power as well, with 17 doubles, six triples and 14 home runs, while stealing 43 bases. She holds all but one Doniphan record and became the first in program history to have her jersey retired. Shockley, a three-time SBA softball finalist, was a difference-maker on both sides of the ball for the fall-season Class 1 state-champion Bulldogs. She hit .564 on the year with 44 RBIs, 35 runs scored, a .982 slugging percentage, 14 doubles, five triples and five home runs. In the pitcher’s circle, Shockley went 16-5 with awe-inspiring stats: a 0.39 ERA and 226 strikeouts. She threw back-to-back no-hitters in the sectional and quarterfinal rounds of the postseason and threw four no-hitters on the season. The reigning Semoball Softball Player of the Year is back at it. 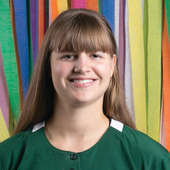 Tiffany hit .421 with eight doubles, three triples and five stolen bases, but her legacy remains in the pitching circle, where she went 25-4 with a 0.42 ERA and 404 strikeouts — the only pitcher in Missouri history to top the 400 mark. She broke her own single-season K record and was a first-team All-State pick. Davis took home four gold medals at the state championship meet, winning individual titles in the 200-yard individual medley and 100 butterfly and helping Central’s 200 medley relay and 400 freestyle relay squads to championships. Davis was named the state meet’s MVP and earned All-America honors. He will continue his swimming career at Auburn University. 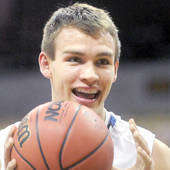 A repeat Semoball Awards finalist, Ragsdale was the lone senior leader on the Tigers roster. 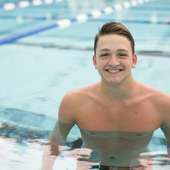 He proved his steel with four conference-meet victories before matching reigning Semoball Awards Boys Swimmer of the Year and teammate Brogan Davis with four victories at the state championship meet. While his team won the state title, Ragsdale claimed gold in the 50 free and 100 free, and anchored the championship — and record-setting — 200-medley relay and 400 free relay squads. Ragsdale will continue his swimming career at Division I Wisconsin-Green Bay. The senior finished 21st in the 100 butterfly in the state meet, marking the highest finish for an athlete from the semoball.com coverage area for the season. 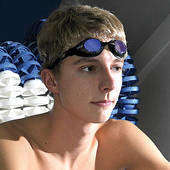 He also finished 30th in the 200 IM and was a member of the 200 and 400 freestyle relay teams. Norwood has long been the queen of swimming in Southeast Missouri, and she capped an extraordinary career with a fourth consecutive SEMO Conference MVP title. 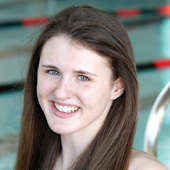 The two-time Semoball Awards Girls Swimmer of the Year was a conference champ in the 200-yard independent medley and 500 free and finished third in the 100 butterfly and fourth in the 200 IM at the state meet. She will continue her swimming career at Maryville University. Palmer became the first girls swimmer in school history to win a state title when she finished first in the 50 freestyle with a time of 24.09. 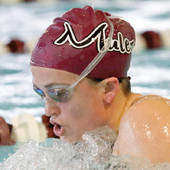 She also claimed a third-place finish at state in the 100 butterfly. Johnson closed out his Bulldogs court career in style, lifting multiple trophies. 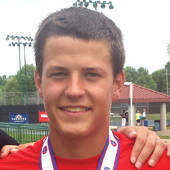 The senior won the Class 1 District 1 singles championship as well as the SEMO Conference singles tournament title. Johnson qualified for the state tournament, where he went 1-2. Siddiqui backed up his 2016 Semoball Awards win with another standout season. The Mules senior went 18-3 in singles play and 13-2 in doubles play, while ultimately seeing his season end in a class 2 sectional. 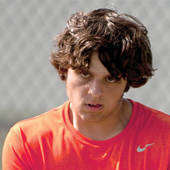 Flowers and teammate Noah Kronk were 17-6 in doubles play and finished eighth at the state tournament. Flowers was 9-2 as the Bearcats’ No. 1 singles player. Mailes earned an all-state finish at the Class 2 individual state tournament despite being the youngest player in the field. 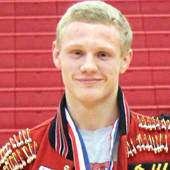 He finish seventh in the state’s largest class and was also a individual and team district champion. A two-time Semoball Awards finalist in tennis, Powderly went 18-1 in singles competition in the fall. 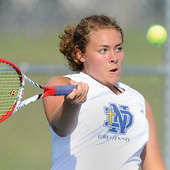 Along the way, she earned a SEMO Conference Tournament singles championship and a district singles title. At the Class 1 state tournament, the senior made a run to the elite eight to wrap up her career. 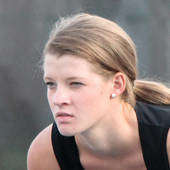 A familiar face for those familiar with the Semoball Awards, Hilburn is the reigning Girls Tennis Player of the Year. Her senior season was again in impressive as Kennett’s No. 1, helping her doubles partnership finish second in the state. She was also 16-1 in singles competition, went 26-4 in doubles and posted a 2-0 record against fellow Awards finalist Grace Powderly of Notre Dame. Hopkins posted 13-0 records in both singles and doubles play during the regular season. She teamed with Maddie Walker to advance to the Class 1 state tournament in doubles play. The pair finished seventh at state. Shetley was the No. 1 singles player for the Indians this season and a member of their No. 1 doubles team. 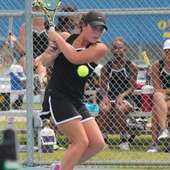 She advanced to the state singles tournament with an 18-3 record and was vital to Kennett’s run to state as a team. 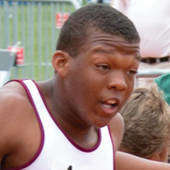 The senior reached his peak level of performance in his final spring, pushing past the field to win the Class 2 state title in the 400-meter run with a time of 49.941, while also earning bronze in the 200 with a time of 22.63. In the 400 — his best event — he also earned a sectional and district championship and was also the district winner in the 200. A multi-sport standout, this is his first Semoball Awards nod. Anderson was a standout of a strong Blue Jays performance at the Class 2 state meet. 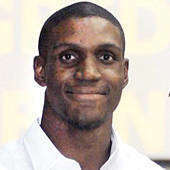 He won an individual state title in the 100-meter dash, crossing the finish line in 11.06 seconds. 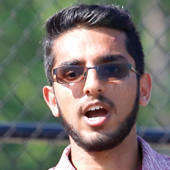 He also showed off his sprinting prowess with three more all-state results — third in the 200, second in the 4x200 relay and fourth in the 4x100 relay. Known for his two-way football exploits — he’ll play for Southeast Missouri State in the fall — Thompson also did the double in field events, winning Class 2 state titles in both the shot put (53 feet) and discus (158 feet, 7 inches). 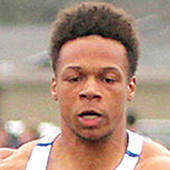 Davis sprinted to a Class 2 championship in the 100-meter dash with a time of 10.97. 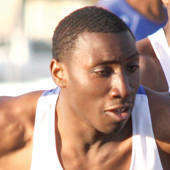 He also finished fifth at state in the 200-meter dash (22.91) and sixth at state in the 100-meter relay. The reigning Semoball Awards Girls Track and Field Athlete of the Year was sidelined by injury for much of the spring, but that didn’t stop her from claiming another Class 4 state title in the triple jump with a leap of 39-6.5. That came after repeating as district and sectional champion in the event, despite not jumping during the regular season. She helped the Bulldogs’ 1,600-meter relay to an all-state run and also won district gold in the long jump, later finishing fourth in the event at the state meet. Notre Dame finished sixth in the team standings at state. A standout in three sports, Waldner capped things off int he spring with a great track campaign, taking a Class 3 state title in the 300-meter hurdles (43.61) as well as well as third-place finishes in the 100 hurdles and long jump. She was the district champ in all three events, and sectional winner in both hurdle events. She also qualified for state in the 200. Brimlett was a state champion in the 100-meter and 300-meter hurdles, helping lead the Mules to a Class 4 team championship. 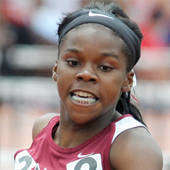 She also finished second in the long jump and third in the triple jump. 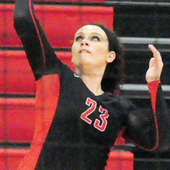 The junior middle hitter was an impressive presence both offensively and defensively for the quarterfinalist Wildcats. She had 57 aces, 337 kills, 135 blocks and 186 digs. That campaign earned Below all-district honors and the tag of Stoddard County Activities Association Co-Player of the Year. A repeat Semoball Awards finalist, Garrison was a force for the Bearcats front row, amassing more kills (506) and a better hitting percentage (.415) than anyone in the area. She also dug out 242 balls. With a year still left in her high school career, Garrison is verbally committed to New Mexico State. 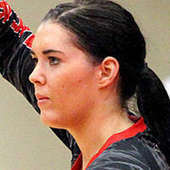 McAlister concluded her senior year with a single-season school record 493 kills and was honored as the SEMO Conference Player of the Year. 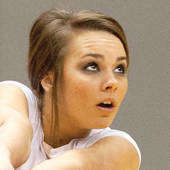 She also had 183 digs and 52 aces in earning First Team All-District and All-Region and Second Team All-State honors. 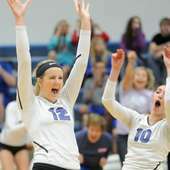 Lindsey finished with a team-high 287 kills and 72 block kills for the Class 3 District 1 champion Bearcats. She posted a 99.6 serving percentage and had 138 digs on her way to second-team all-state honors. She will play next year at Mineral Area College. Petty, a threat from any position on the court, played a combination of middle blocker and setter for the Wildcats in their final four season. She finished with 309 kills, 301 assists, 116 digs, 44 blocks and 29 aces. 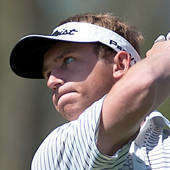 Waldner broke out as a sophomore and showed he will be a force to be reckoned with in the coming years. The Bearcat 126-pounder went 45-5 on the season, finished third at the Class 2 State Championships and won his weight class at the SEMO Conference Tournament. He also was second at the Tiger Classic. No area wrestler — or athlete, for that matter — had a more harrowing ending to their season, but what Stinnett accomplished beforehand is impressive. 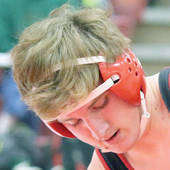 The Bulldog standout finished third at 182 pounds in the Class 3 state tournament, forfeiting the third-place match after suffering a broken vertebrae seconds into the match. He was a SEMO Conference champion — a meet at which he was named Most Outstanding Wrestler. He finished the year 50-5. Byrd navigated the Class 4 state championship bracket to finish fourth at 126 pounds, where he was also district runner-up and SEMO Conference champion. He went to state for a third time and finished his season with a 52-7 record. Reisenbichler missed most of his final season because of a broken hand but returned to finish third at 113 at the Class 4 state championships. He finished the season 15-1 and became the second wrestler in school history to earn all-state honors four straight seasons. Waldner finished his high school career with the Class 2 138-pound state championship. He finished the season with a 40-3 record and was 139-32 in high school while qualifying for the state meet all four years. Synonymous with swimming in Cape Girardeau, Powell shepherded both the boys and girls swimming teams to standout seasons — the most recent of many. In the fall, she led the boys to a second straight team state championship, and in the winter helped the girls to a second consecutive conference championship and an 11th-place result at state behind a talented, young core. Success is no stranger to Simpher and his Cubs, but the skipper helped his program achieve the often-difficult task of staying on top once it got there. Bell City won the Class 1 state title — defeating Wellsville 10-0 in five innings in the finale — for a third straight season, becoming just the seventh team in Missouri to ever accomplish that feat, and second in Class 1. It may have been Simpher’s biggest challenge, as the small-school Cubs (24-6) lost four senior starters from the previous year. 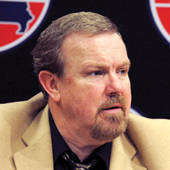 Not only was Buchanan the school’s principal and athletic director, he also led the boys basketball program to its first apperance in the final four, despite a midseason courtside health scare for the coach. The Bulldogs finished third in Class 1. 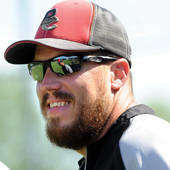 Buchanan also coached the baseball team to a district title in the spring. 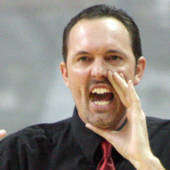 The Braves won their second consecutive state title in Staple’s third and final year leading the Braves. 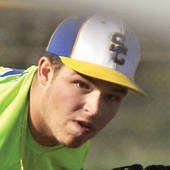 SCC’s state-record 18th title came after being bumped up to Class 2 and with a short roster. Allen’s team reached the Class 4 state final four in consecutive years and made it to the championship game for the first time in school history this year, finishing second in the state. 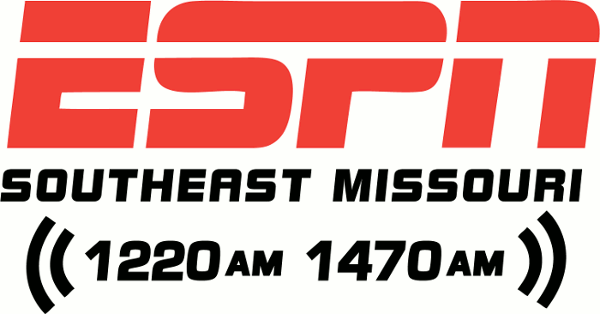 Allen was named the SEMO Conference Coach of the Year as well as the Class 4 Coach of the Year by the Missouri Sportswriters and Broadcasters. Bell makes it back-to-back years earning a finalist nod in the Comeback category after he bounced back from an anterior cruciate ligament knee injury a year ago to earn a silver medal at the state track meet. This year he continued his recovery from that injury and didn’t miss a beat, taking over as quarterback for the Mules and helping them to an undefeated regular season and a conference championship. But an in-season ACL injury in his other knee forced a second recovery, from which he returned for to win a district title in javelin before finishing second in sectionals. At state he finished ninth in the event despite suffering another injury, this time to his elbow. The Perryville volleyball staff had high hopes for Hemmann before she even got to high school, but her future was thrown into doubt when an all-terrain vehicle accident forced the young athlete to undergo surgery to amputate her leg above the knee. With hopes of simply joining the team for her first high school season this past fall, instead Hemmann played in the first home game of the season in August, hitting an ace on the first serve of her Perryville career. She continued to play throughout the season, and was also a part of the Pirates girls soccer team this spring. In 2015, Johnson was only two games into the soccer season when she suffered bleeding on her brain. The scary injury kept her out for the entire season, but didn’t knock her down for good. 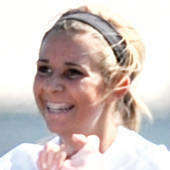 She returned this spring to set school records for both goals and assists while helping the Mules to a district title. 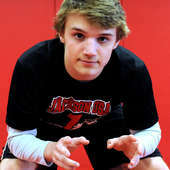 Following an offseason knee surgery, an injury he’d wrestled with and finished fourth in state as a junior, Reisenbichler broke his hand and missed the first several weeks of his senior season. 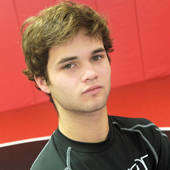 Upon his return to the mat he earned all-state honors with a third-place finish in Class 4. Four-year varsity starter Denai Arnzen tore her ACL for a second time and had to have surgery just months before the start of her senior volleyball season at Leopold. But Arnzen rehabbed quickly and earned all-conference, all-district, all-region and all-state honorable mention honors as she helped her team reach the Class 1 state championship game. When heated rivals Van Buren and East Carter met in a boys basketball game in December, it was a kind act that transcended rivalry that was remembered. In the final minute of the junior varsity contest, the Bulldogs allowed East Carter freshman Jacob Rogney, who has a learning disability following a traumatic brain injury suffered in a car crash, to receive an inbounds pass and score while players and fans from both sides chanted Rogney’s name. 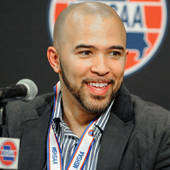 On a team that went to the Class 2 boys basketball final four, Battles was the epitome of sportsmanship. 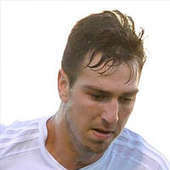 Against Campbell, he was physically manhandled and fouled, but after the game approached the players responsible, shook their hands and graciously accepted an apology, maintaining his cool and sporting attitude even in the face of unsporting behavior. 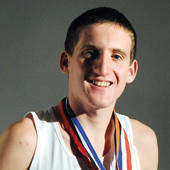 He was also Bloomfield’s first four-sport athlete, student body president and academic standout. 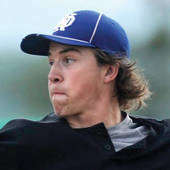 Himmelberg, who was part of the Bulldogs’ state champion baseball team and third-place basketball team, suggested to coach Jeff Graviett that his injured teammate, Derek Hulshof, pinch hit for him late in Notre Dame’s championship game. Hulshof, who had torn his ACL early in basketball season, got an RBI single to conclude his senior year. 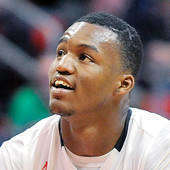 Wallace’s story includes a comeback, but it was his attitude throughout dealing with the injury that helped make him a finalist for this award. After a preseason injury ended his senior football season before it started, he never stopped supporting his teammates, never complained and eventually had an all-SEMO Conference baseball season. 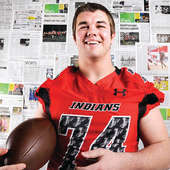 Smith has been a jack of many trades for the Indians throughout his career, including track and football, wrestling and golf, participating in the last two this year as a senior. Smith graduates without missing a day of school since starting kindergarten, and posted a perfect 4.0 GPA as a senior. 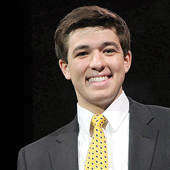 He is a member of the Kennett Key Club and served on the student council for four years. 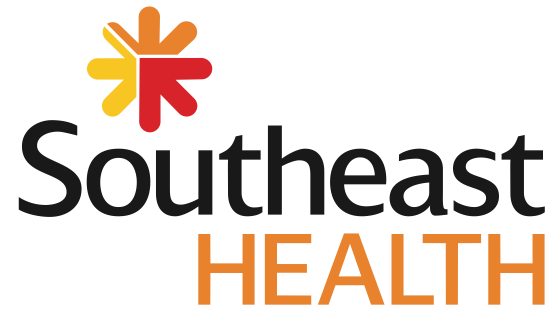 In 2016 he was presented with the Outstanding Youth Prevention Award for his work with the Missouri Youth Adult Alliance, an organization that prevents substance use in youth. He graduated as valedictorian. Maddox put together a well-rounded resume that showcases his leadership qualities in the classroom as well as in the locker room. He was a key figure in baseball, basketball and track for the Cubs, helping the baseball team to a second consecutive Class 1 state champion. 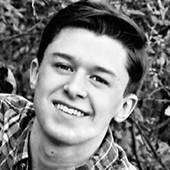 He was Bell City’s Student of the Year in 2015-16 and kept himself busy with the academic team, prep club, FBLA, FCCLA, Student Council and National Beta Club. He posted an 11.5 GPA on an 11-point scale. As the valedictorian of his class with a 4.4 GPA at Woodland, Reynolds managed to balance academics and the responsibilities of a four-sport athlete. While completing 29 credit hours from Southeast Missouri State, he managed to also earn all-state cross country honors back-to-back years. Named to numerous all-district, all-region, and all-conference teams, Garret showed leadership that other students will emulate for years to come. Being the National President of Beta Club didn’t prevent Darren Green from from earning a 4.0 GPA and excelling in baseball at Malden. 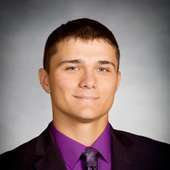 While leading the national organization whose alumni include Bill Clinton, Diane Sawyer and Kevin Durant, he was inducted into many academic honor societies and was named all-conference in three of his four years as well as all-state his junior year. One of the most impressive athletes in Semoball Awards history, Shetley has been a two-sport athlete in tennis and basketball her entire career at Kennett and has garnered five total SBA nominations in the process. This year, she had state podium finishes in doubles tennis, more than 1,800 career points on the court and is a four-time all-conference selection in basketball. In addition to that, she committed countless hours to volunteering and operating as the Key Club president. 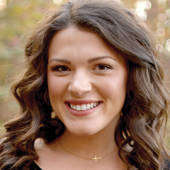 Shetley boasted perfect attendance K-12 and graduated as valedictorian. Her class’ salutatorian, Nelson was also an accomplished violinist and saxophonist, volunteered her time as a youth sports official and graduated with a 4.0 ERA. On the field, Nelson played softball, basketball and soccer for the Pirates, captaining the soccer and softball teams and earning all-district nods in both. A leader not only on the court, but also in her classroom and community, Kennett’s Kate Shetley strives to go above and beyond. Volunteering in multiple organizations while also managing to earn numerous tennis, basketball and cheerleading accolades, she still attained a 4.24 GPA. Through her many accomplishments and ambitions, she is what athletes at Kennett strive to be. The multi-sport standout is a baseball player first, and he showed it by shutting down the opposition from the hill and pounding opposing hurlers from the batter’s box. Cox hit .532 on the season with 28 runs batted in and 32 scored, an on-base percentage of .683, 11 doubles, a pair of home runs and 22 stolen bases. 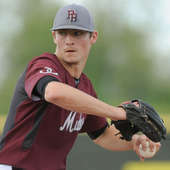 On the mound, Cox went 7-1 with a 2.29 ERA in 52 innings pitched, striking out 78 batters and walking just 17. 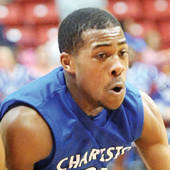 He was the Scott-Mississippi Conference Player of the Year for a second consecutive year. 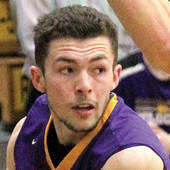 Mitchell was a standout in the SEMO Conference, averaging 24.4 points, 9.2 rebounds, 3.2 assists and 3.1 steals a game for the Indians during his senior season before being sidelined by an injury late in the year.